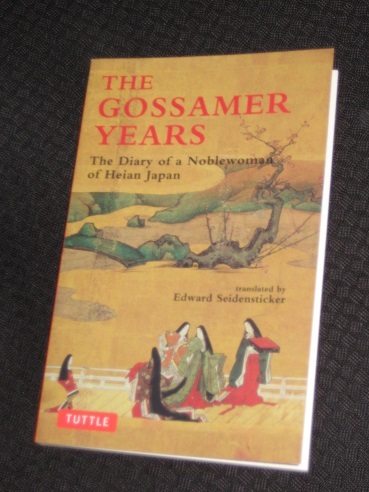 The Gossamer Years: The Diary of a Noblewoman of Heian Japan (Kagerō Nikki, translated by Edward Seidensticker) is a journal containing the thoughts of a married woman over the course of twenty years (between 954 and 974). As was customary at the time, the woman’s given name was not used, and she has gone down in history simply as the Mother of Michitsuna. While that may grate with modern readers, the name issue is trivial compared to what the writer had to go through in her married life. You see, The Gossamer Years is not so much the story of a nameless mother as the trials of a neglected wife. The first few pages describe a relentless courtship by Kaneie Fujiwara, a high-ranking nobleman who was to achieve lofty status at court. While initially hesitant, she eventually gives in to his persistence, with a marriage taking place in 954. However, these were rather different times, and marriage was not quite as it is today. The writer was actually Kaneie’s second wife, and he didn’t stop there, taking on a number of short- and long-term mistresses as well. It’s not long before she realises that her dream of a constant, faithful companion has disappeared. Instead, she must decide whether she is prepared to wait patiently for nocturnal visits that will become increasingly few and far between. 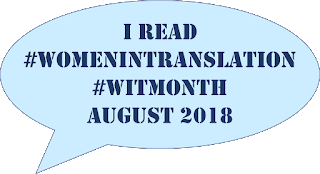 The themes examined in The Gossamer Years make for an appropriate start to Women in Translation Month. In this proto-feminist work, we are given a glimpse into life in Heian Japan, with a focus on the lives of women and the rampant inequality built into the society. Having been sweet talked into marriage, the writer is constantly disappointed by her husband. His continual promises of visits (married couples didn’t actually live together) come to nothing, and there are periods when contact is broken off entirely. When you consider further humiliations, such as being sent sewing to do for her husband (and his other women…) and the agony of seeing his retainers parading down the street, only for the whole procession to simply walk on by, you can imagine what kind of life she must have led. One day, as I sat looking out at the rain, knowing that today there was less chance than usual of seeing him, my thoughts turned to the past. The fault was not mine, there was something wanting in him. It had seemed once that wind and rain could not keep him away. Yet thinking back, I saw that I had never really been calm and sure of myself. Perhaps, then, the fault was in fact mine: I had expected too much. Ah, how unwise it had been to hope for what was not in the nature of things. The relatively happy early years are behind her, and she knows that as she gets older, her situation can only deteriorate. She will do her best to ensure that her son, Michitsuna, is acknowledged and assisted by his father, but her own happiness is probably over. It’s important to note, though, that unfortunate as she may sound, the writer was still fairly privileged, and never truly poor or neglected by family and friends. She is actually part of a small elite (in fact, with family ties to Lady Sarashina, Murasaki Shikibu and Sei Shōnagon, she’s the forerunner of quite a literary elite, too!). She’s also not quite as perfect as she may sound, making a number of catty remarks about her rivals (and rejoicing in their woes), as well as lashing out at her husband even when his actions are unavoidable. There’s a very interesting comparison, too, of her views on the woman her son is trying to court and her own youthful days. It’s hard to read her scathing comments on the young woman’s reticence without thinking back to her own attempts to fob off her future husband. It may make for unhappy reading at times, but when the journal eventually breaks off, twenty years after the first recorded events, what we have is a woman who has gradually come to terms with the way her life has unfolded. In Heian Japan, that in itself was quite an achievement. Fascinating Tony, and a really interesting start to your WIT month! This sounds very familiar – and not just because of the similarities to other ladies of the Heian period. I think I probably read it at university. How did you find the translation? I know that Seidensticker is not your favourite translator of Genji. Was the poetry in couplets?